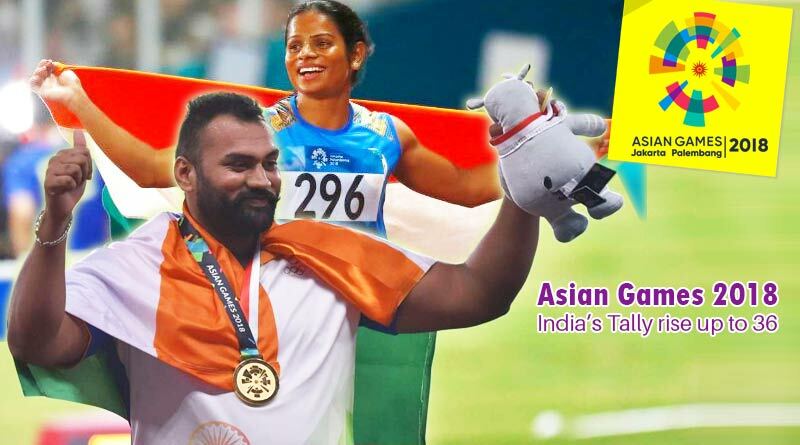 A good day for India at the Asian Games in Indonesia saw them rake in the medals to add to their ever-growing tally. A total of 5 silver medals took India’s tally to 36 and placed them ninth in the table with overall 7 golds, 10 silvers and 19 bronzes. Track and field was dominated by the Indians who despite no gold took home three silver medals home on Sunday. The 400m race turned out to be India’s favorite hunting ground on Asian Games 2018 Day 8. With silvers in both the men’s and women’s race, India set the 400m event on fire. Taking on a field that boasted of some of the fastest sprinters in the world, Asian champion Anas ran like there was no tomorrow. He clocked up a time of 45.69 seconds to leave him competition in a pile of dust and fly the Indian flag with a second place podium finish. The women’s 400m race bore the same good fortunes for India. 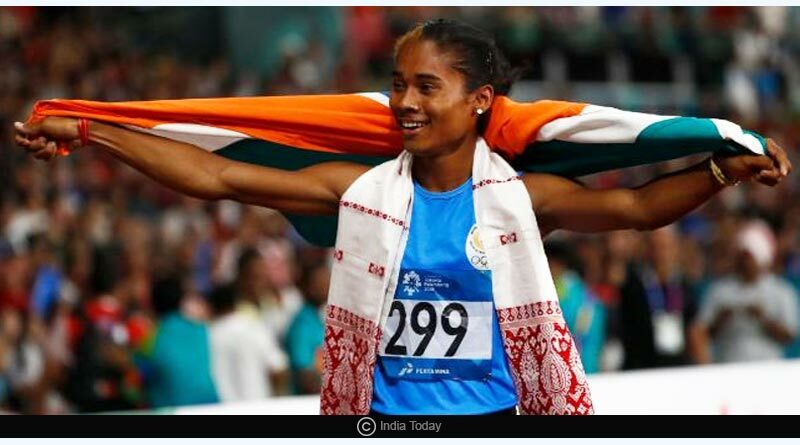 Hima Das took 50.59 seconds to complete the race which was quick enough for her to come second. In the 100m Women’s race, Dutee brought in India’s third silver and first medal in 20 years from the track with a time of 11:32 seconds. Bahrain’s Edidiong Odiongis won the gold medal with 11.30. India was unlucky to not come away with a bronze in the men’s 10,000m race after Govindan Lakshmanan had to cope with major heartbreak. Assured of a third place at the end of the race with a time of 29:44:91, Govindan was disqualified after the race due to the violation of the lane rule. He was ruled to have stepped out of the lane once during the race which saw him being ruled out of a podium finish. History was also made on a productive Sunday for India with Fouaad Mirza becoming the first ever Indian to win an individual medal for India in equestrian. He was also instrumental in guiding the country to a second-place finish in the team event. Indian shuttlers PV Sindhu and Saina Nehwal continued their fine run in the game by reaching the semi-finals and assuring India of a first medal in badminton at the Asian Games since 1982. They secured themselves of a medal in women’s singles badminton with Sindhu defeating Thailand’s Nitchaon Jindapol 21-11, 16-21, 21-14 and Nehwal beating Thailand’s Ratchanok Intanon 21-18, 21-16 in the quarterfinals. For more Asian Games 2018 Day 8 highlights, like and subscribe to tentaran.com.